Why is the insurance company involved if I was not at fault? What does “at fault” mean under the NC Accident Laws? Who is responsible for a car accident under North Carolina laws? How do insurance companies handle accident claims? Can a personal injury lawyer help with my accident case? Your insurance company may be involved for one of two reasons. If there is an issue as to liability, it’s possible that there is a counter-suit by the driver of the other vehicle. 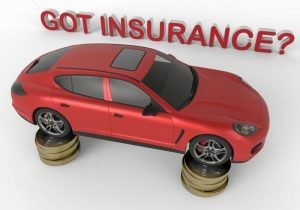 The other reason that your insurance company may be involved has to do with uninsured or under-insured motorist coverage. Question 1: How do insurance companies get involved in NC car accident cases? North Carolina is one of the few remaining jurisdictions in the United States that still has what is called contributory negligence laws. Even if the other driver was 99.9 % at fault for your accident case in North Carolina, if you “contributed” to or were at all negligent, you may be prevented from recovering money damages. We’ve even seen it in cases where our client was rear-ended and the person who caused the wreck tries to claim they weren’t at fault. 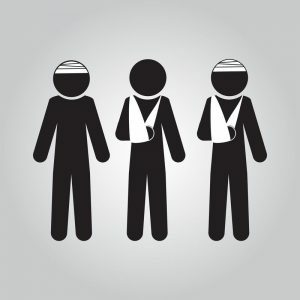 Experienced lawyers who help people with accident cases in places like Greenville, NC and New Bern, Morehead City, Beaufort, and Jacksonville, North Carolina, understand the devastating consequences of “contrib.” That’s true too for insurance companies and insurance adjusters in North Carolina. It’s one of the reasons attorneys who help people with accident cases often recommend putting your insurance on notice of a potential claim. That’s because if the other side denies legal liability or coverage for the losses from the accident, it may be necessary to have YOUR INSURANCE company cover things like damages to the vehicle, personal injuries, medical bills, and the costs for rehabilitation after a wreck. MORE INFO: What Are Legal Fees for an Accident Case? In other words, if the insurance is either not there with the other driver, or if it’s not enough, then your insurance company would have to step in and pay on the claim and at that point, they are going to become basically the representative of the other driver, even though it’s your insurance. So you need to be careful when you’re dealing with your own insurance company as well, because they may become the adversary as the case moves forward. 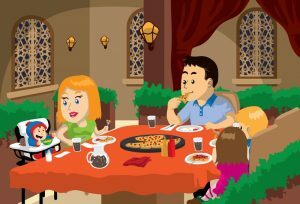 MORE INFO: In An Accident and Other Person Is Not Injured? What is Attorney-Client Privilege in North Carolina accident cases? Why do lawyers offer a Confidential Consultation? If you consult with North Carolina car accident lawyer, what you tell them remains private or confidential. That’s because in NC, we want people to be completely honest with their lawyers during legal representation. You need to be able to tell your lawyer everything that happened, both good and bad. That way they can give you good legal advice. It really doesn’t matter if you have come to a law office just to talk and never retain legal counsel. Everything you tell the lawyer remains a secret. That’s true if the attorney comes to the hospital or rehab center or wherever. Everything you tell the attorney and the people at their law office keep those things confidential. It also doesn’t matter if you never retain that personal injury lawyer or their law firm for legal representation. You are still protected by the attorney-client privilege. Many North Carolina car accident lawyers provide legal information and the initial legal advice free of charge. Lawyers in NC will explain the legal system, your legal options, and share their opinion about whether you have a case or claim for money damages. In fact, our personal injury law firm charges what are called contingency fees to help people with car accident cases in North Carolina. We help people injured in Greenville, NC recover damages for car accidents, motorcycle wrecks, semi-truck accidents and other legal matters. Compensation may include lost wages, medical bills, reimbursement for treatment and physical therapy, and other money damages. MORE INFO: If I win my case, how am I reimbursed for my accident injuries?